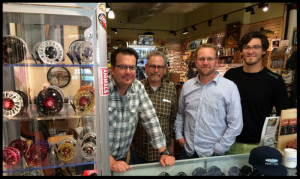 Being in the fly fishing business means we are in the optimism business and in our souls, hope springs eternal. If it’s raining outside it might mean that blue winged olives should be coming off the Big Hole. If it windy and hot there could be Hoppers blowing into the Jefferson. When it’s snowing it’s building a good snowpack in the mountains and when the snow is melting it replenishes our streams. No one caught a fish from their couch or stuck in traffic or in the confines of their office. You catch fish by believing today is the day when it all comes together to land the fish of a lifetime. If you don’t believe it, you hope for it and he that has hope has everything. This fishing is a beautiful thing. There is snow in the mountains today which is a good thing. Every year at this time we pray for a long, cool and wet spring. Regardless of weather conditions, our job is to make lemonade out of lemons. We do this by having a wide range of rivers to fish, float, and wade. The Madison and Beaverhead are managed by dams that give us some control over stream flow. 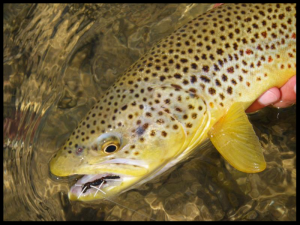 The Big Hole and Jefferson are freestone streams (no dams) that are more whimsical yet provide very big opportunities for some of the best fishing on the planet. The Smith River is perhaps the most fickle with the fishing window from the first of June through the first week in July but it also the most stunning float we have in the state. Our access to private water is how we differentiate Healing Waters Lodge from our competition. We lease access to several properties where we can quickly take our guests from the fishing outhouse to the fishing penthouse. We are mobile and agile in getting clients to the best water available. Thus far, 2016 has been a wonderful year for booking trips. We have a precious few spaces left on the Smith River and if you are serious about going downstream on the Smith don’t hesitate or inquire about availability in 2017. We are also having equal success in bookings at Healing Waters Lodge. Our goal is to have you here and not to turn you away. Book early and book often. “I am a river to my people” in conversations with Andy Kurkulis or Anthony Quinn as Auda abu Tayi in Lawrence of Arabia. Last season, Andy stayed with us at Healing Waters Lodge and fished the Big Hole and a small spring creek at our disposal. 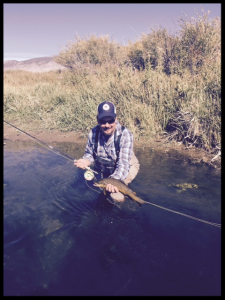 Not only does he sell first class fly fishing equipment but he handles it like a pro. Andy casts deftly with both power and accuracy. On a small creek in the Ruby Valley the Gods were kind providing both dry fly fishing with size 14 Purple Hazes and hopper fishing in the afternoon. Mr. Kurkulis caught mucho fish. Years ago,I attended a seminar in Florida with Flip Pallot as the guest speaker. Flip hosted a show called Walker Cay Chronicles that was informative, entertaining and at times poetic. Flip, follically challenged with a lean and hungry look was asked about knots. He stated he used four knots: a nail knot, a blood knot, an improved clinch knot, and a surgeon’s knot. For me, there was an audible sigh of relief as these were the only four knots I knew. Animated Knots( www.animatedknots.com) is an excellent site that gives you step by step instructions for knots. Nail Knot: The Nail Knot is an important fishing knot used to join two lines of different diameters and allows for line diameters to diminish down to the fly, i.e., it is useful for attaching your backing to the fly line, and your fly line to the leader, or tippet. Surgeon’s Knot: The Surgeon’s Knot allows you, with the same leader, to select the size of tippet to suit the size of the fly. It is usually used to join two pieces of monofilament. Blood Knot: The Blood Knot is a favorite knot for fly fisherman. It is primarily used to join two lines of similar size, e.g., when joining sections of leader or tippet, and is one of the best knots for this purpose. The strength of the knot depends on making at least five, and up to seven, turns on each side of the center. 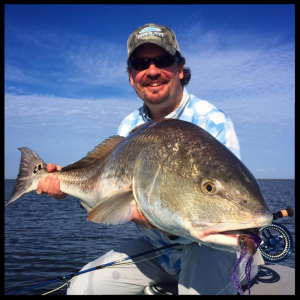 Improved Clinch Knot: The Improved Clinch knot is one of the most widely used fishing knots. It provides a good method of securing a fishing line to a hook, lure, or swivel. The “improved” version shown on the website includes an extra tuck under the final turn (step 9). It is commonly used to fasten the leader to the fly. Because it is harder to tie in heavier lines it is not recommended if you are using over 30 lb test line. Our Fishing School in April is full and we have a two more spaces left for May 2-7. Please call Mike at 406-459-2030 for reservations.